You are here: Home › News & Media › What Happens After a Bankruptcy Discharge? Congratulations, you made it through your bankruptcy and received the discharge. That was one of the goals of filing for bankruptcy in the first place. The discharge of the debt means that you no longer have personal liability on the debts that were dischargeable. Some debts (e.g., child support. 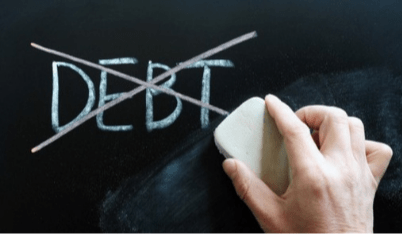 Alimony, student loans, priority taxes) do not get discharged and you therefore still have personal liability and must pay those debts otherwise those creditors will probably begin collection activities against you. Some creditors have security interests or liens on assets (e.g., vehicle loans, house loans, furniture purchased at Nebraska Furniture Mart) and if you want to keep those assets you must continue making the payments otherwise the creditor can seek to repossess or foreclose on the assets … this is true despite the fact that your personal liability on the debt was discharged such that the creditor cannot sue you personally anymore on the debt. When you receive your notice in the mail from the court indicating that your discharge has been ordered by the judge it would be wise to keep a copy of that document in your records. You might even want to scan the discharge order and email it to yourself in addition to keeping the paper copy. What if a creditor continues contacting me after my discharge? If any creditor tries to collect on a discharged debt after your discharge that collection activity is a violation of the Discharge Order and you should send that creditor a copy of your Discharge Order and demand that they cease and desist all collection activity against you. It is important to keep a copy of that correspondence as you might need it later as evidence. You should also keep copies of any further collection letters/invoices/statements/etc. you receive from a creditor after it has been notified to cease and desist as those documents are additional evidence. If a creditor continues trying to collect after being told to stop, contact WM Law. If the creditor continues to try to collect on the discharged debt after you’ve notified it of your discharge and you’ve demanded that it cease and desist, then we can bring a motion against that creditor in the bankruptcy court and you might even be awarded money damages for the creditor’s continued violations of the Discharge Order. The bankruptcy judge will want to see that (1) the creditor was given an opportunity to cease and desist its collection activities, (2) the proper evidence to support your claim that the creditor has continued to violate the Discharge Order after being notified of its violations of the Discharge Order, and (3) the creditor was properly served with notice of the motion. What if a creditor has reported false or incorrect information to the credit bureaus after discharge? If a creditor has reported false or incorrect information to the credit bureaus or has failed to correct wrong information on your credit report, you might have additional claims against the creditor for violations of various federal and state consumer protection laws. Again, you’ll want to gather the evidence (e.g., credit report, billing statements, correspondence, etc.) necessary to support your potential claims. You can also dispute information on your credit report by going to the website for each of the big three credit bureaus (TransUnion, Equifax and Experian) and filing a “dispute” with them. Once you’ve filed a dispute, the credit bureau is required to notify the creditor of the dispute and the creditor has 30 days within which to respond to the dispute. If the creditor does not respond within 30 days the credit bureau is required by law to take the disputed information off your credit report.